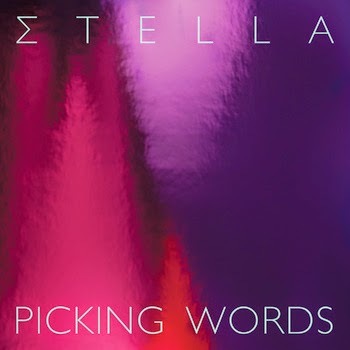 First of all, I would like to mention that I do not know how to use the keyboard to produce the strange letter that usually kicks off this singer-songwriter’s name but however, Stella is a singer-songwriter from Greece and this is her latest single Picking Words. She has been around for only a couple years collaborating with various Greek bands and projects but now looks set to go it alone and set the world alight with her debut album, scheduled for release sometime this year. Picking Words is a sweet pop/disco tune complete with riffs that lay down a gritty foundation which is smoothed over with some very catchy percussion and synthesisers that don’t know how to quit. Stella does a superb job at building the sound continuously before letting it explode with a finale that gets the feet tapping and the hips swaying into the good books; it’s awesome. First impressions of Stella are very good. As a fan of LCD Soundsystem and Hot Chip it is always great to hear disco/pop music that is allowed to build and develop into its final, danceable form and Picking Words shows that perhaps we should be keeping our ears on Stella, as gross as that sounds. Cannot wait to hear the debut album, but in the meantime I’m more than happy to keep listening to this tune. Stream Picking Words below, and for more music reviews, free downloads and lessons in hip movement check out Exploding Head Syndrome on Facebook and Twitter.